Summary: This article gives a brief introduction to AVI format and lists two best AVI media/video player for you to play AVI file on Windows or Mac easily. There is a host of different media players in the market. 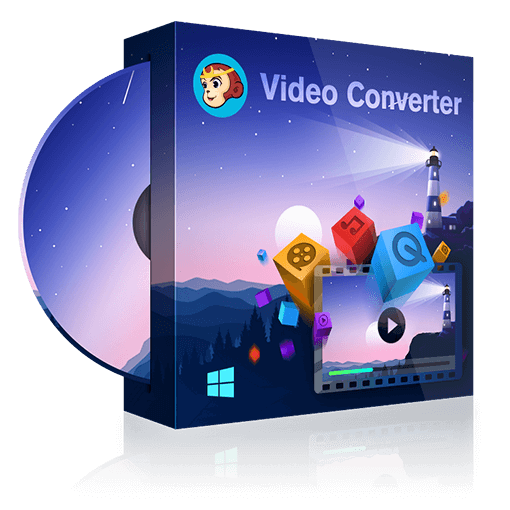 Some of them are completely free of cost and all that they do is combine the huge list of video and audio codecs to make life easier. Then, there are a series of commercial media players that try to give the best services, customer support, assistance and up to date features in their packages to gain many audiences as possible. They are always in the fight. The free software does not or may not have all the latest or fancy stuff, but sometimes is much more powerful if you know the right use of them. Some of them are SMPlayer, VLC and so on. There are many paid versions of famous free software, and similarly free versions of paid packages. The AVI is one of the most widely used media file containers used to distribute media in standard definition, and most players try to keep it inbuilt support to this type. Similarly, some media player AVI compatible. This, as mentioned, is a popular container file format used to store videos in the standard high definition for watching movies and other videos on PC, and DivX video versions from 3 to 6 have them inbuilt for regular support. With the help of DivX compression, AVI files can hold a different type of video combined with different type of audio and still work together seamlessly. They can also maintain incredible video quality while maintaining small form factor or file size. The DivX is a derivative of AVI file formats for smaller sizes and uses the same codecs as they do. A lot of people misjudge it as a codec. But, AVI is not a codec, but a complete container in itself. It is the acronym for Audio Video Interleave and was brought to the world in 1992 by Microsoft for PC users so that they can use audio and video together and not be encoded separately. This required two sets of codecs and syncs them together. There is an AVI media player called VLC, which can treat this AVI files, separately of their audio, video or together too. Thus, as mentioned earlier, this container can hold both of them together and still separate. The codec is a name given to a program that can encode and decode digital files at the same time. Thus, there are many good free media players that can understand this AVI media file type and can play it inherently these days. However, some media players might not be able to play huge files in 2K or 4K resolution encoded in AVI format. Thus, in media player AVI formats can be easy to playback, as the absence of media player AVI codec is just a misguiding information. This is a powerful media player that supports from anything like a simple program for viewing 4K videos seamlessly on a high-resolution screen with native support for playback. Yes, that is true. This is because this media player is welded with the latest technologies in CPU and GPU usage of a computer or laptop. Since, these days both of them are pretty common in any computer, desktop or laptop, DVDFab is a good AVI media player. Among media player AVI supporting types, it is useful for not just a standard high definition, but also full HD and UHD, if you have a screen that cool. The media player uses Intel Quick Sync and NVIDIA CUDA in its core to process video frames in real-time with jitters or lags. This also serves for its immense, powerful UI, UX and minimizing computing resources at the same time. If you'd ever played 3D movies few years ahead you'd know the freezing issues. But, this does away with it using multi-core processing that saves lot CPU power that can be used for multi tasking. There is no freeze; RAM is free as GPU helps in media playback. The quality is very good for a media player AVI codec file type. It supports, much more. DVDFab Media Player supports both Windows and Mac systems. This is one of the most widely used free media players, and natively compatible with AVI file type. It follows the usual procedure. You need to download your appropriate version of the OS and install it. When you launch it for the first time, you can manually add the media using the “Media” button on the top left corner, and then go to the location on your computer. This can be done using the drop down menu item called “Open File”. The good thing is that you can select just one or multiple files together in one go, and they all will be stacked up in a series, mostly alphabetically. Now, click “Open” and you shall soon see the media playing on the screen. The VLC or the VideoLAN has been functional for a very long time and has introduced a lot of good features to the software beginning with UI to support for subtitles, audio tracks, video tracks and separately, and many other controls that make watching a movie pleasure. It is certainly one of the best AVI media players. Here we introduce you the best AVI players but sometimes you may need to convert AVI to MP4 format for backup or uploading to a video website, so you can also have a look at how to convert AVI to MP4. What are the best rap songs of the 2000s? Browse the articles to find the answer. After that, you can download the songs from YouTube with the quick YouTube downloader we recommend.